As the shipping industry is pushed to dramatically reduced greenhouse gas emissions courtesy of mandate from the International Maritime Organization, a pair of Japanese companies have embarked on a study of efficient shipboard power generation. Kobe Steel, Ltd. will conduct joint research with Kawasaki Kisen Kaisha, Ltd. on a binary cycle power generation system currently under development. 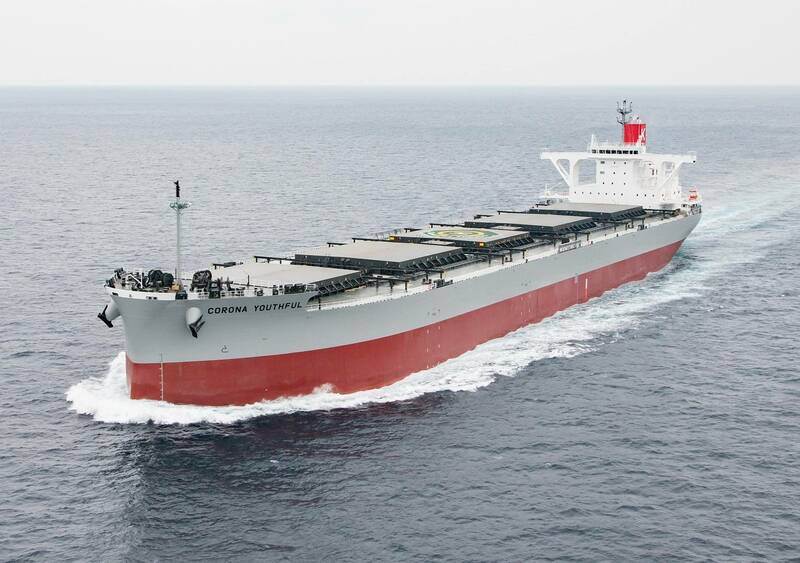 The binary cycle power generation system was installed on the coal carrier Corona Youthful. Owned by “K” LINE, the 91,000-metric-ton carrier was recently inaugurated . The two companies will conduct joint research on the Corona Youthful, an actual ship, over the next three years to verify the durability and performance of the equipment under real operating conditions. The binary cycle power generation system mounted on the ship can generate a maximum of 100 kW of electricity from the exhaust heat of the main ship engines. In the past, the exhaust heat was largely discarded. By effectively utilizing the exhaust heat to generate electricity to serve as auxiliary power for the ship, the system contributes to reducing carbon dioxide and fuel for the generator engines. In 2011, Kobe Steel developed a binary cycle power generation system called Microbinary and began marketing this equipment for use on land. The system has received approval from ClassNK, Lloyd’s Register and DNV GL.